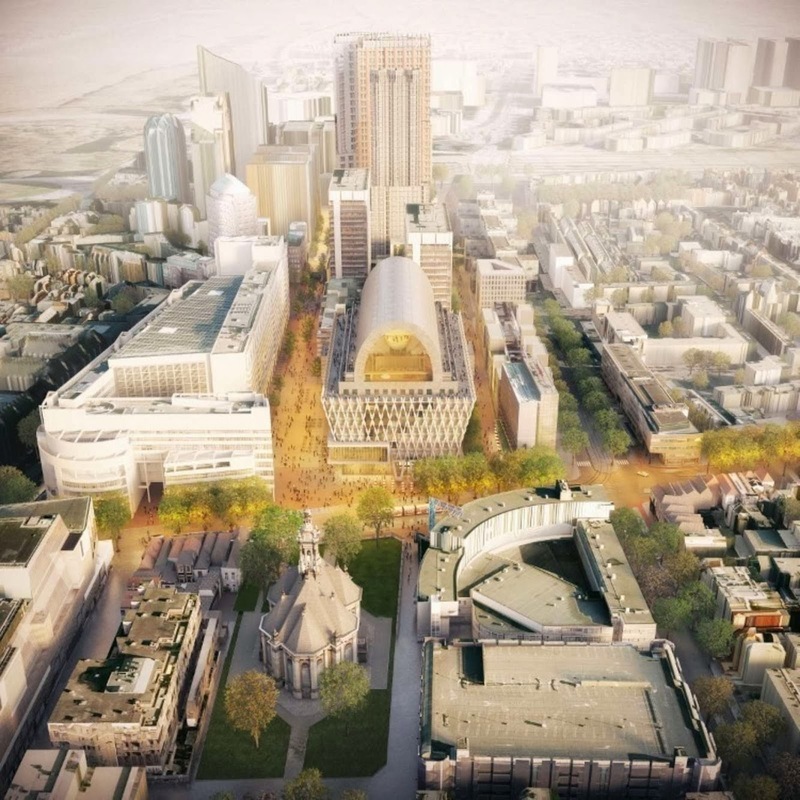 The Hague Municipal Council approved the zoning plan for the controversial new cultural centre in the Hague's city centre. 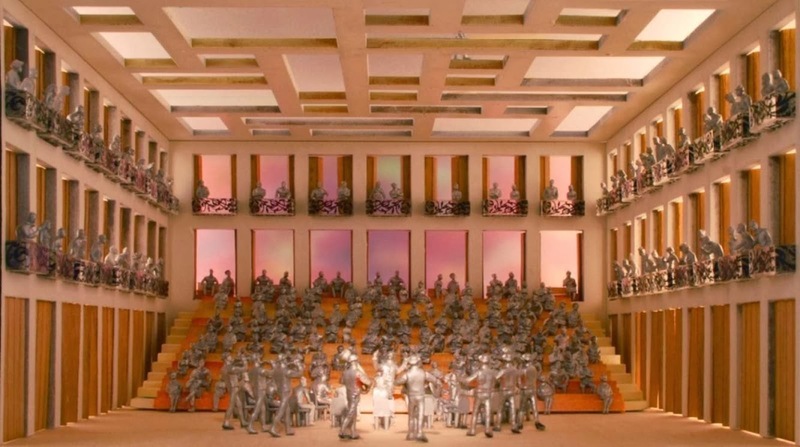 the new building will be constructed on the site of the Dr Anton Philipszaal and Lucent Danstheater, which will be torn down. 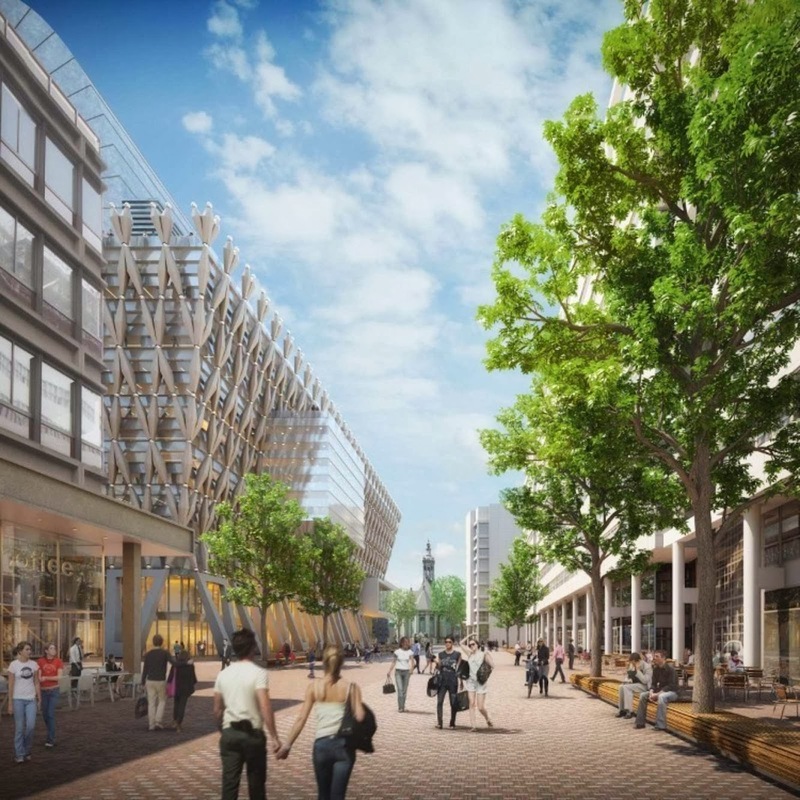 An amount of € 181 million has been earmarked for the project. 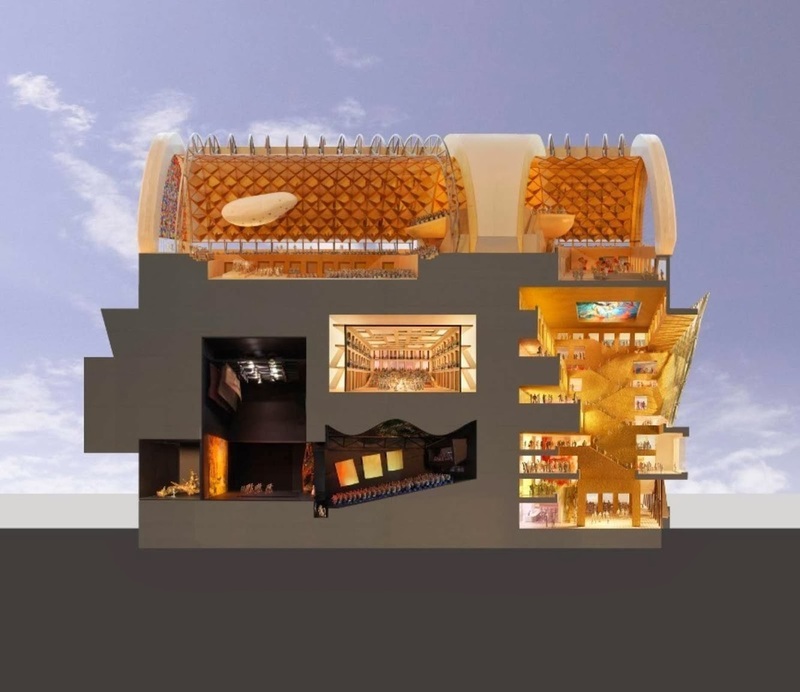 the budget will also cover a temporary facility for the cultural organisations. the Spuiforum was designed by Neutelings Riedijk Architecten. 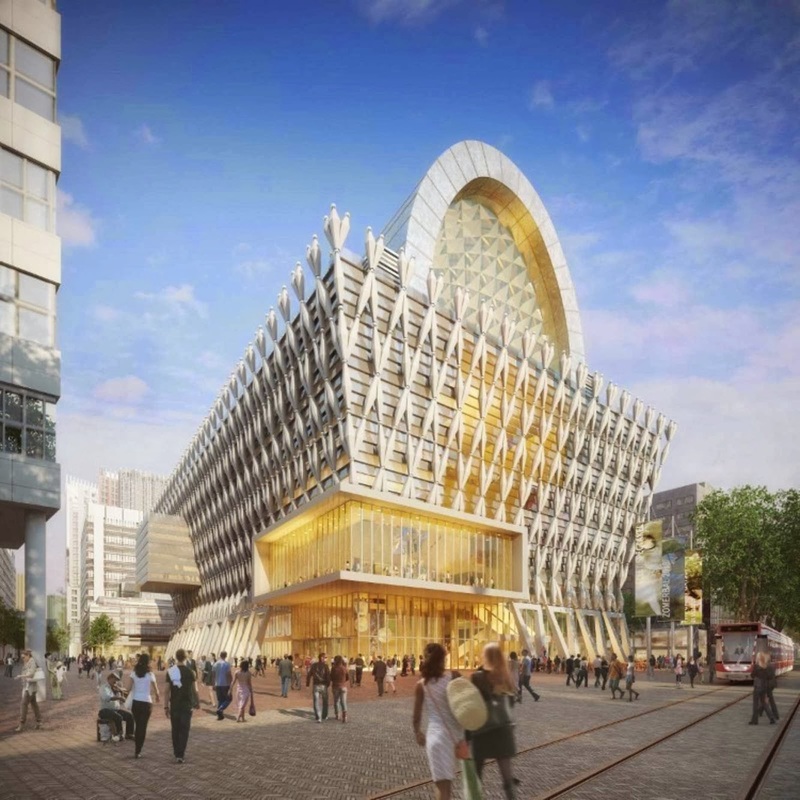 The Nederlands Dans Theater, Residentie Orkest, Royal Conservatoire and the Hague Dance and Music Centre will all make their home in the new Spuiforum starting in 2018. 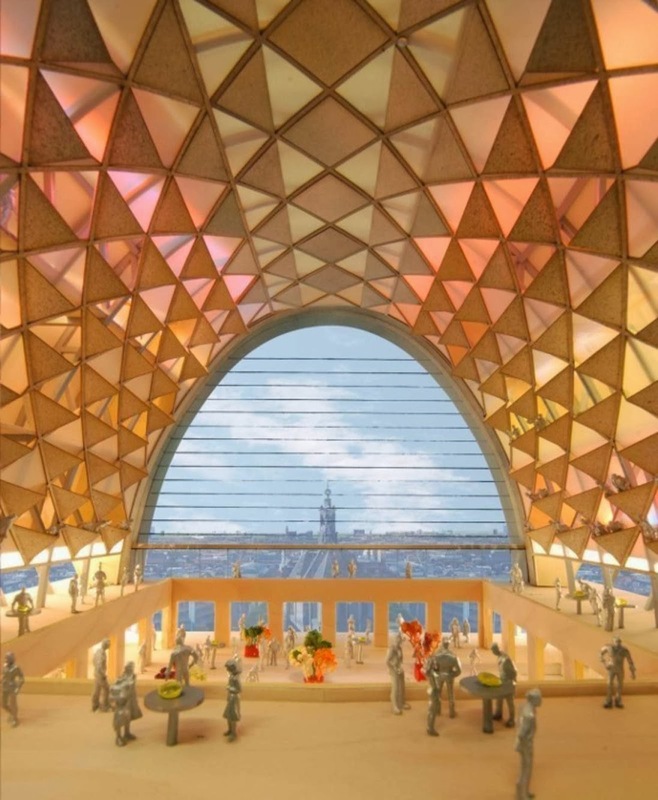 To make the construction of the Spuiforum possible, the Residentie Orkest, Nederlands Dans Theater and the Hague Dance and Music Centre will move to a temporary theatre on the Norfolk terrain in the Scheveningen harbour. 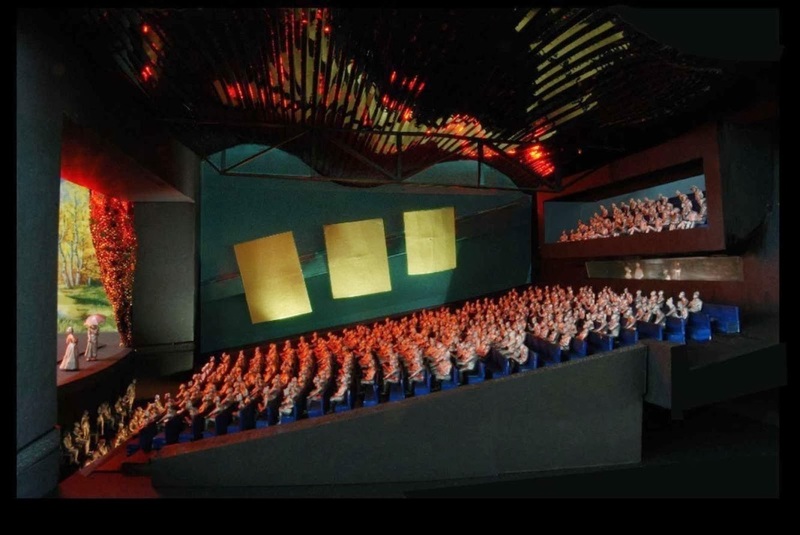 The new Spuiforum brings together a 1500 seat Concert Hall, a 1300 seat Dance/Opera Hall and a 600 seat Ensemble Hall, for a total of 45.000 m2. The halls are stacked on top of each other and imbedded in a flexible structure of educational classrooms and studio’s for the Royal Conservatory. The heart of the complex is shaped as a monumental mountain of stairs, that brings visitors all the way up to the public roof that overlooks the city. The building is crowned with a large cupola hall for all kinds of public events. the filigrain exo-skeleton gives the façade a refined and festive expression.